BUTUAN CITY, Sept. 7 (PIA) – The Overseas Workers Welfare Administration (OWWA) is set to hold a Public Employment Service Office (PESO) Conference on September 9, 2016 at Mabes’ Savory Place, Barangay 1, San Francisco, Agusan del Sur. According to Ronelo Maningo, family welfare officer of OWWA-Agusan del Sur, all PES Officers in all municipalities of the province will be attending said activity. 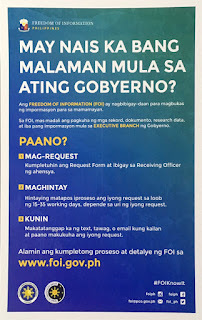 “During the conference, PES officers will be discussing updates on the programs and services of the Philippine Overseas Employment Administration, illegal recruitment, issues and concerns of recruitment agencies, latest policies imposed for Overseas Filipino Workers, and issues on the undocumented OFWs by the National Reintegration Center for OFWs,” disclosed Maningo. AGUSAN DEL SUR, Sept. 7 (PIA) – The Overseas Workers Welfare Administration (OWWA) Caraga has recently distributed different assistance to the four Overseas Filipino Workers (OFWs) from various municipalities here, who were displaced/distressed after losing their jobs from their companies in Qatar, Kuwait, and Kingdom of Saudi Arabia (KSA). Under the OWWA’s Reintegration Program dubbed as “Balik Pinas! Balik Hanapbuhay!” Program, the four recipients received an assistance worth P10,000 each. Two of the four recipients requested five sacks of rice each worth P10,000 while one asked for grocery items worth P10,000 and the other one asked for a unit of Sewing Machine worth P10,000. The OWWA personnel delivered said assistance to the four recipients in the municipalities of Rosario, Sta. Josefa, Trento, and Bayugan City. The "Balik-Pinas! Balik Hanapbuhay!" is a program of the Department of Labor and Employment (DOLE) and OWWA where displaced/distressed workers can avail of starter kits and livelihood assistance worth P10,000. BUTUAN CITY, Sept. 7 (PIA) – The Philippine Statistics Authority (PSA) Caraga revealed during the Regional Development Council - Social Development Committee meeting conducted on Tuesday that the region’s economic growth decelerated from 9.4 percent in 2014 to 4.2 percent in 2015. The region’s growth declined as agriculture, hunting, forestry and fishing (AHFF) declined and industry and services slowed down during that period. It was also noted that the services sector has continue to account for the largest share in the region’s total economic output with 14.7 percent followed by 37.2 percent of the industry sector while the AHFF also contributed 17.1 percent. During the year, the overall performance of the services sector slowed down from 9.2 percent in 2014 to 5.3 percent in 2015 this is due to the decelerated growth of four sub-industries. The transportation, storage and communication (TSC) also recorded the biggest deceleration from 16.4 percent in 2014 to 4.2 percent in 2015. On the financial intermediation (FI), it slowed down from 5.7 percent to 5.6 percent and the public administration and defense (PAD) decelerated from 4.4 percent to 1.3 percent. Meanwhile, real estate, renting and business activities (RERBA) recorded an accelerated growth from 5.4 percent in 2014 to 7.4 percent in 2015 and other services (OS) expanded from 4.6 percent to 7.0 percent. Also, the Industry sector has decelerated to 9.9 percent in 2015 from 14.8 percent in 2014. It says that the slowdown was attributed to the slowdown in mining and quarrying (MAQ) and manufacturing. MAQ, which accounted for the largest share in the industry decelerated from 14.7 percent to 5.0 percent in 2015. Likewise, the manufacturing also slowed down from 12.7 percent to 2.6 percent in 2015. However, electricity, gas and water supply (EGWS) cushioned the decelerated growths of the first two sub-industries as it rebounded from negative 5.8 percent in 2014 to 24.1 percent in 2015. Construction further improved its performance by accelerating from 20.6 percent to 22.7 percent in 2015. The AHFF has suffered a reversal from 1.3 percent in 2014 to negative 8.5 percent in 2015 due to the contraction of agriculture and forestry by 9.6 percent in 2015 from a positive 1.4 percent in 2014. The fishing also contracted from 0.8 percent in 2014 to negative 1.5 percent in 2015. BUTUAN CITY, Sept. 7 (PIA) – The members of the Regional Development Council - Social Development Committee (RDC-SDC) of Caraga region have supported and endorsed the resolution to increase the social pension of the indigent senior citizens to the Caraga RDC full council members. It can be recalled that RDC XI has requested the Caraga RDC to support their proposal to increase the indigent senior citizens' social pension. The Resolution No. 32 Series of 2016 states that, “Supporting the RDC-SDC XI Proposal to Increase the Social Pension of Indigent Senior Citizens from P500.00 to P1,000.00. The resolution is seen to better help indigent senior citizens cope up with the continuing rise in the prices of basic goods and services including medical and other needs, said Rhea Mae Mendez of the National Economic Development Authority during her presentation of the issue. BUTUAN CITY, Sept. 7 (PIA) – In its drive to improve the delivery of its programs and services to Overseas Filipino Workers (OFWs), the Overseas Workers Welfare Administration (OWWA) Caraga has recently conducted a capability building workshop to some 18 Public Employment Service Office (PESO) managers in the province of Agusan del Norte. According to OWWA Caraga regional director Samuel Madrid, the PESO managers play a vital role as the key partner-implementers in the different municipalities of the province. The activity has provided the PESO managers on the timely update of the agency’s recent developments and also strengthened the linkages among the local government units of the province. It also endeavored in empowering and capacitate them of the proper protocol in responding to request for assistance among their constituents and OFW families, Madrid said. SURIGAO CITY, Surigao del Norte, Sept. 7 (PIA) – Recognizing some inconsistent laws and conflicting land uses, Philippine Chamber of Commerce and Industry (PCCI) officials and delegates of the 25th Mindanao Business Conference (MinBizCon) had proposed for the passage of the Land Administration Reform Act (LARA) and National Land Use Policy (NLUPA) Act. 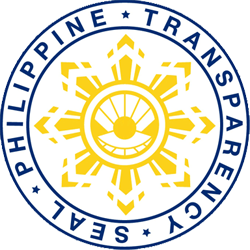 At present a number of bureaus and offices under the Department of Environment and Natural Resources, Department of Agrarian Reform, the National Mapping Resources and Information Authority (NAMRIA) and National Commission on Indigenous People (NCIP) were among the government agencies involved in land surveying, mapping classification, titling and registration functions leading to the issuance of different land tenurial intruments in the country. It is hoped that the Duterte administration and the 17th congress will favorably act on aforesaid resolutions that will streamline land surveying, mapping, classification, titling and registration processes to be placed in one responsible agency. With some existing inconsistent laws, the resolution also proposed for the enactment of a National Land Use Policy Act and recommend updating of comprehensive land use plans that will provide broader framework on land allocations objectively considering vital land requirements for settlements, production, commercial and industrial uses, environmental management of protected and key biodiversity areas among others. One of the concerns is that vast potential agricultural lands remain unproductive due to absence of appropriate land tenurial instruments. While some environmentally critical, key biodiversity conservation and watershed areas are within mining exploration and mineral production sharing agreement (MPSA) areas. It has to be noted that in the last meeting of the Economic Development Committee of the Surigao City Development Council, Uriel Correos Assistant City Planning and Development Officer proposed for endorsement of the passage of the LARA Bill be considered in the MinBizCon resolutions of which the Surigao Chamber of Commerce and Industry has duly supported.